As we welcome in the New Year, let’s look back on the events that have shaped and stimulated our community in 2014. The year couldn’t have started better for 15-year old Lisandro Pinto, a pupil at Dunraven School, who became the Ultimate Crew Hip Hop best solo battler at the finals of the Step into Dance competition. A group of local bloggers took part in a baton relay from Land’s End to John O’Groats to raise money for Sport Relief. Coming together as the London arm of Team Honk, 25 bloggers wearing Sport Relief onesies tweeted & Instagrammed their way around a Monopoly themed tour of the capital, eventually handing over the baton to the team in Fleet, Hampshire. The relay raised over £30,000, which will be used to help transform the lives of disadvantaged people both at home and around the world. A host of exciting events were held for the 21st anniversary of the Dulwich Festival this year. There was something for everyone: the programme was brimming with sounds from around the world; amazing art was on display in artists’ open houses and in the extraordinary street art that’s gaining interest across London; stimulating and informative walks and tremendously varied talks and debates. The ever-popular Festival Fair on Goose Green once again showcased the fun to be had in SE22. Excellent local food and homemade cakes were on offer alongside the bouncy castles, donkey rides, beer tents, handmade children’s t-shirts, designer jewellery, local photography and live music on the The Goose is Out! stage. Next year, the fair celebrates its 10th anniversary, so look out for something spectacular! At the start of 2014, the Parents & Friends of Heber School took on an exciting project to renovate the old Victorian caretaker’s cottage in the school grounds, which had seen better days. They restored the dark, damp, unloved building to its former glory, creating a bright usable space for the children. Local garden designer, Georgia Lindsay, was thrilled when she reached the finals of ‘Grand Designs Garden Designer of the Year 2014’ and exhibited her show garden at the Grand Designs Live exhibition at the ExCel Centre in London. The Scummy Mummies played to packed crowds during their regular comedy night at The Hob in Forest Hill. Local comediennes Ellie Gibson and Helen Thorn dished the dirt on modern parenthood, covering all the big issues from culture and current affairs to farting and fish fingers. North Dulwich Lawn Tennis Club was buzzing when it played host to two former Davis Cup players, Danny Sapsford and Andrew Richardson from Bright Ideas for Tennis. The day was a roaring success, raising more funds than any of the other clubs that had hosted Bright Ideas for Tennis events over the summer. The reward – The Tiger, aka Tim Henman, appeared at the club’s next event! Students from Stagecoach Dulwich entertained the crowds at London’s O2 arena when they joined Robbie Williams onstage for his “Swings Both Ways Tour”. 22 children were chosen to perform the song “High Hopes” made famous by Bing Crosby. They sat alongside Robbie and performed to sell-out houses on 4 nights. Forest Hill Fashion Week, organized by a group of local volunteers, featured established & up-and-coming designers. Local shops, cafés, bars and community interest groups all joined forces to host an exciting line-up of fashion-themed events – illustrating Forest Hill’s creativity and commitment to high street regeneration. Suzanne James Catering, based on Barry Road in East Dulwich, won their 6th Green Apple Environment Award in the national campaign to find Britain’s greenest companies, councils and communities. Awarded the silver medal, they only trailed Marco Pierre White! The Dulwich Charity Lunch in aid of Dulwich Helpline and Southwark Churches Care was held at The Palmerston again this year and raised over £1,500. Dulwich’s Pink and Blue Army continued to impress often in front of 1,000 plus crowds. Dulwich Hamlet ends 2014 in fourth place in the Ryman Premier League. A good second half to the season could see promotion to Conference South and just two divisions away from the big boys in the Football League! 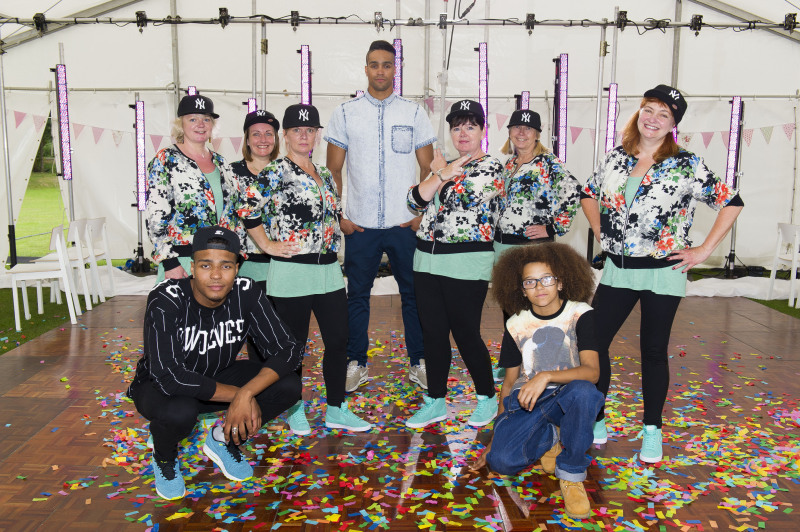 The East Dulwich WI made a splash in the local and national press this year when six of its members took part in the hit SKY 1 TV show, Ashley Banjo’s Secret Street Crew. Cameras followed them every step of the way as they secretly attempted to learn a street dance routine choreographed by 2009 Britain’s Got Talent winner Ashley Banjo and his street dance troupe Diversity. After 3-weeks of intense rehearsals with Ashley and WIversity group mentors, Jordan Banjo and Perri Kiely, the ladies performed their routine to an unsuspecting group of friends, family and fellow WI members at a charity cake bake competition. The Honkopoly fundraising event also attracted press attention from local newspapers and radio stations after the hashtag #honkopoly trended on twitter. The Emily Carr exhibition at Dulwich Picture Gallery received a rave review in The Telegraph. The best bits of Dulwich were featured on the Time Out London Blog. Local jewellery designer, Zara Taylor, opened her first boutique in Dulwich. Launched in 2010, Zara’s quirky, vintage and on-trend designs have quickly become a hit with celebrities like Fearne Cotton, Kelly Rowland, Jessie J, Taylor Swift and Tulisa Contostavlos. They have been featured in magazines from ‘Look’ to ‘Vogue’, on fashion blogs like Chiara Ferragni’s ‘The Blonde Salad’ and on TV shows ‘The X Factor’, ‘Made In Chelsea’ and ‘Big Brother’. The East Dulwich Christmas Cracker returned to get everyone in the festive mood with buskers and performers popping up along Lordship Lane, and a stage of music and performance beside the market on North Cross Road. The Scummy Mummies were your comperes for the fun-packed day. A number of eateries established themselves in 2014, including Café G, which moved into The Gardens site on Peckham Rye. Pizzas appeared to be in vogue with Sodo Pizza Café taking residency at the Old Bank building in Honor Oak. Franco Manca, famous in Brixton, also opened for business on Lordship Lane. And if all those weren’t enough, Shoreditch staple Burro e Salvia is due to open its doors further up the strip in 2015. Here’s something new to eat. Yama Momo, a Japanese restaurant & cocktail bar for East Dulwich, opened and Tierra Verde, which is dedicated to supplying the best organic and natural products from Spain, opened a deli on North Cross Road. East Dulwich resident, Audrey Michel, became the proud owner of a new 60/70’s style French cafe bar on Lordship Lane, The French House. Elsewhere, Maison Dog, which supplies a range of dog collectibles, opened up where Hope & Greenwood used to stand on Northcross Road. Hope & Greenwood, which is sadly missed by all those with a sweet tooth, wasn’t the only long-time favourite we said goodbye to. Also gone is the East Dulwich Deli. And the Half Moon in Herne Hill still hasn’t reopened after the flood in August 2013. There are fears that it may never re-open. That is sad news indeed. The Grove up on South Circular has also remained stubbornly shut. Another pub landmark has closed its doors, too – temporarily. The Crown & Greyhound in the village is undergoing a refurbishment to become a hotel. The pub will remain though when it reopens in 2016. We’ll drink to that! 2015 is set to be a big year for the community as the East Dulwich Picturehouse is due to open. For those who don’t know, a three-screen cinema is opening on Lordship Lane in the building that was formerly St Thomas More Community Centre. Around Dulwich is run by SE Magazines.